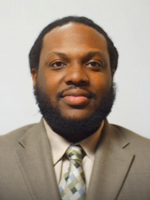 Sam Jeanty is a Regional Loan Library Technology Specialist for the AT-UDL Loan Library. Sam's skill set and background have been successfully applied in his daily interactions with loan library patrons and with BEESS discretionary project staff. His duties include processing technology orders for the loan library, problem solving technology issues, managing the mobile device management, creating and maintaining listserv mailing lists and Caspio apps. Sam's past work experiences included the installation of numerous major technology related projects for organizations such as Unisys, Broward County supervisor of elections, Broward County Schools, and Miami-Dade County Schools. Sam currently holds certifications in MCSE, MCSA, MCP, CompTIA A+, CCNA, Dell certified enterprise systems, and he is an HP certified professional. In addition to his certifications he is an expert with all Microsoft and Macintosh operating systems; wireless LAN protocol, remote access, LAN/WAN architecture and support.